The Annual General Meeting of the Sri Lanka Economic Association (SLEA) was held on January 11th 2018 at the auditorium of the Economic Department of University of Colombo. A new Executive Council of SLEA for 2018 was elected unanimously at the AGM. Dr. Upananada Vidanapathirana was re-elected as president. Rev. Prof. W. Wimalarathana, Chandradsena Maliyadda, Dr. Lochana Gunaratna, Dr. Sarath Rajapathirana, Dr. Lloyd Fernando, Raja B.M. Korale, M.B. 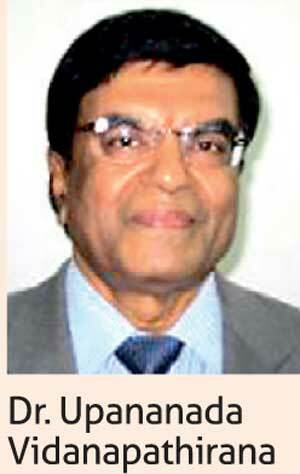 Kiriella, Nihal Rodrigo were re-elected as Vice Presidents of SLEA while Prof. H.D. Karunaratne, Samantha Ranathunga were elected as new Vice Presidents. Dr. Maringa Sumanadasa was re-elected as General Secretary while P.T. Sirisena was re-elected as Treasurer. Sarath Vidanagama and D.G. Dayaratna were re-elected as Editor and Business Editor respectively. B.L.J.S. Balasuriya was re-elected as Assistant Secretary while Nuwan Madonza and Dr. Mahinda Pushpakumara were elected as Assistant Treasurer and Assistant Editor respectively. N. Breckenridge, Dr. Indunil Dayaratna, Selvi Sirikananathan, J.M.T.B. Jayasundara, Jeewani Sewwandi, P.S.L. Sugathadasa, Dr. Lasitha Pathberiya, Chathurga Karunanayake, Nelson Nagasinghe, Dr. Seetha Bandara, Prof. W.M. Semasinghe and Dr. S.N.K. Mallikahewa were the other council members elected. Re-elected Dr. Upananada Vidanapathirana thanked the members for electing him for another year. He also thanked the past council of management for their corporation during the year in helping to carry out well attended series of policy oriented seminars and the successful annual sessions generating a policy dialog on the theme of ‘Modernisation of Agriculture and Industry’. He said that the SLEA would focus on carrying out research and other policy oriented activities during the year 2018 to make an impact on policy makers. The Sri Lanka Economic Association (SLEA) is a volunteer association which was set up in 1985 and incorporated in 2011 by an Act of Parliament. The SLEA is part of the International Economic Association and has over 800 members at present.